Mysteries, thrillers and horrors are heavily produced in film and all are equally popular when it comes to best-selling nonfiction. Yet suspenseful dramas are a rarity on stage. Two of the most successful plays of this genre were written by the same man, “Wait Until Dark” and “Dial M for Murder” by Frederick Knott. The latter, Knott’s biggest success, was originally a BBC television production before it became a hit on the London stage in 1952. A Tony Award-winning Broadway version opened just a few months later. Based on those successes, Alfred Hitchcock purchased the film rights and hired Knott to adapt it into a screenplay. That film, starring Grace Kelly, was voted No. 9 on the Top 100 mysteries list by the American Film Institute. Though a rarity for most production companies, the ProArts Playhouse in Kihei has staged three mysteries over the past five years, with the fourth, “Dial M for Murder,” directed by Francis Tau’a, opening Friday night. Unique to Knott’s tense tales is his use of strong-willed, independent women as the lead character and hero. Perhaps in the 21st century this might be commonplace, but Knott’s heyday was in the 1950s and early ’60s. In “Murder” Tony Wendice (William Makozak), a former professional tennis player, is married to wealthy socialite Margot (Marsi Smith), who has had an affair with American writer Mark Halliday (Scott Smith). 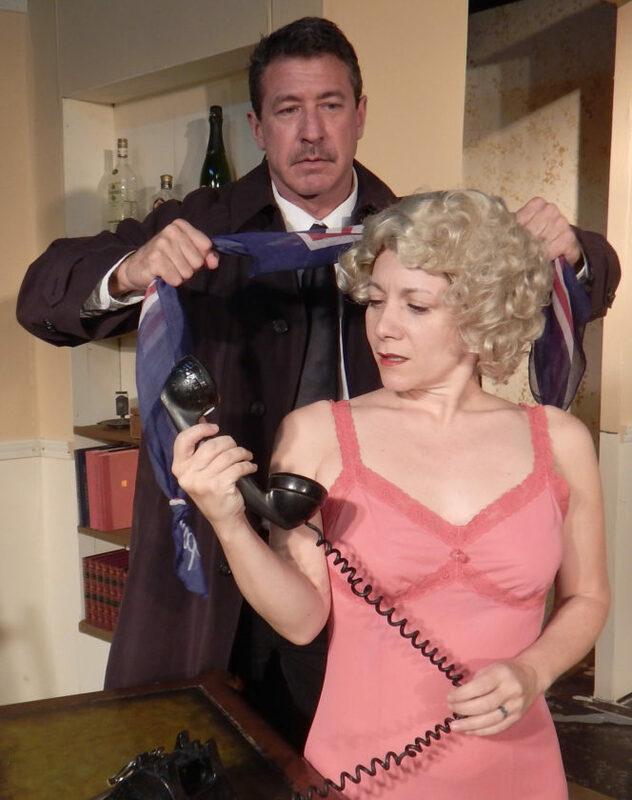 Upon discovering the affair, Wendice plots to murder her with the help of an old acquaintance (Jim Oxborrow), and ensure that her money will continue to finance his leisurely lifestyle. Marsi Smith is best known on Maui for her featured musical comedy performances, and I asked her to share her thoughts on playing the lead in a drama. I asked Smith about taking on an iconic role made famous by Kelly. Makozak frequently plays heavier, intense characters, and I wondered if this type of role, as well as darker scripts, was his preference. “I like to do all kinds of roles,” he said. ”But yes, I love playing the heavy or villain. Often I find the character more interesting. I asked both actors if they had any theories on why the mystery genre is uncommon for stage productions. “So much happens in a film to draw you in, to set the mood,” Makozak explained. “Usually, for the most part, it’s a flawless and seamless journey. Perfect lighting, sound effects, special effects and scene changes that happen in a flash and can catapult you thousands of miles away or even let you look through the killer or victim’s eyes. “The ProArts stage is the perfect stage to try different things,” said Smith. “When you don’t have the stress of filling a 1,000-person venue or a 400-person venue you can choose something different. The fact we have three community theaters focused on three very different kinds of plays make Maui audiences some of the luckiest people in the country,” she said. 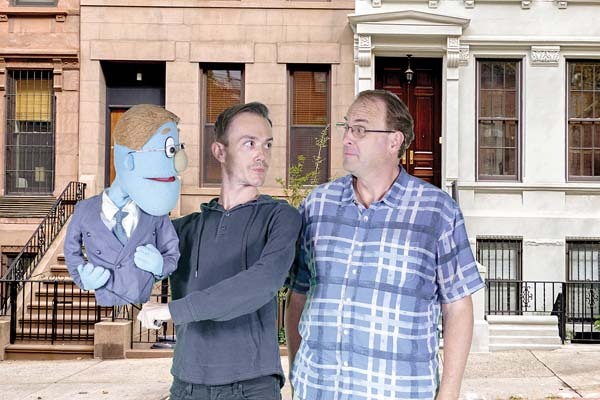 Staging a complicated production, especially one that is a well-known and beloved film, is extremely difficult and requires many helping hands to pull it off. 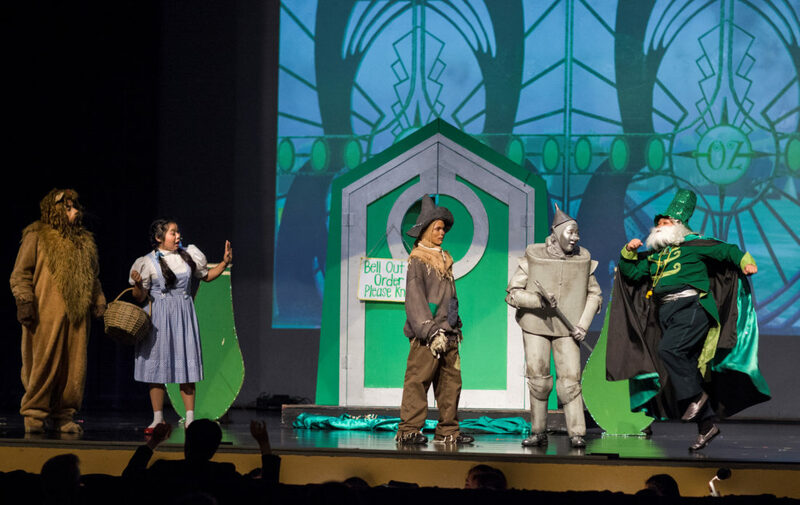 Baldwin High School’s production of “The Wizard of Oz,” directed by Linda Carnevale, is a monumental achievement for the bare-bones public school program. From the first notes of the familiar overture, in an outstanding performance by the 14 students of Baldwin’s Maroon and Blue Orchestra conducted by Stephen Rodrigues, you are instantly whisked away into memories of the 1939 MGM film. The set designed by Amy Lord and built by the students, is enhanced with superb animated video projections. Incorporating the original film concept, Lord’s design and the projections are sepia-toned for Kansas and filled with vibrant colors for Oz. Additional fun effects include stage fog, bubbles to announce Glinda the Good Witch (Danyelle Contreras), and explosions of smoke and green lights for the Wicked Witch of the West’s (Lauryn Ige) startling entrances. All four of the “Oz” leads, Dorothy (Erin Tsue), Scarecrow (Michael Tripp), Tinman (Alexis Ong) and the Cowardly Lion (Amanda Rodriguez), deliver praiseworthy performances in embracing the familiar personas and character voices so attributed to the famous film. Tripp in particular, one of only two seniors in the cast, is especially impressive. 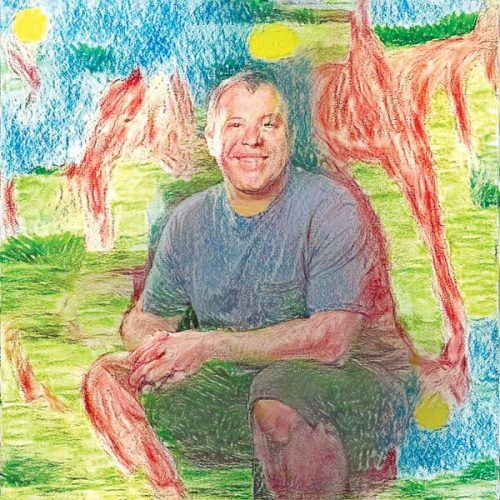 So convincing in his dramatic portrayal as a mentally challenged man in last fall’s “Flowers For Algernon,” the young actor has proved he is equally adept, if not more so, in music, dance and comedy. Choreographer Dejah Padon does a remarkable job in giving the large-scale dance numbers a polished quality as well as assisting in the creation of the dancer’s costumes. “Jitterbug,” a number written by Harold Arlen and E.Y. Harburg but cut from the film, was particularly entertaining and well-executed by Dominique Turner, Ashley Cachola, Jaycie Teixeira-Mizuuchi, Ray-Anne Dela Cruz, Madeline Austin, Graciela Vila, Danay Contreras and Raina Ouye. 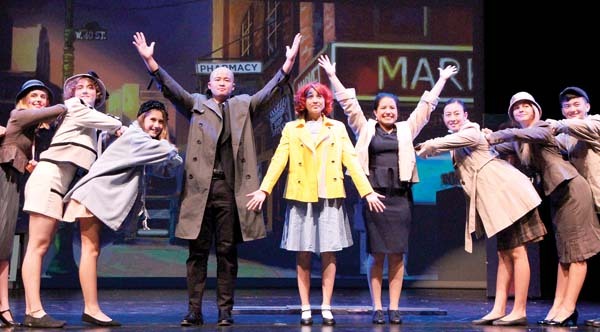 Armed with this quality production and so many underclassmen in both the drama and music departments, the entire Baldwin team is poised to present multiple impressive productions in future theater seasons. 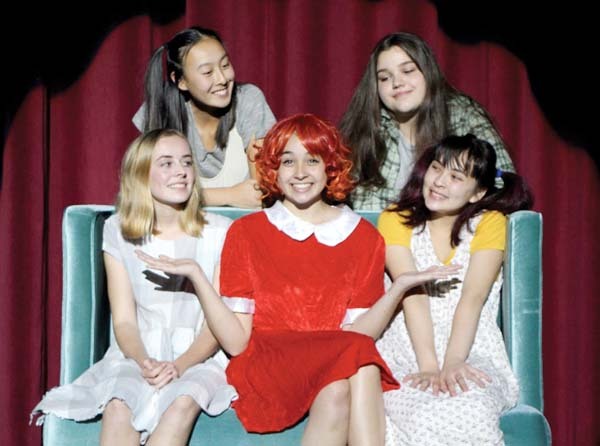 • Baldwin High School Performing Arts Learning Center and Baldwin Theatre Guild continue “The Wizard of Oz.” Performances are at 7 p.m. Friday and Saturday with 2 p.m. matinees Saturday and Sunday in the auditorium on the Baldwin High School Campus. Tickets are $12 for adults, $10 for seniors, $7 for youth ages 12 to 17 and $5 for age 11 and under and are available at the box office 45 minutes before show time. The King Kekaulike Dramaaticans present “High School Musical,” by David Simpatico, directed by Chris Kepler. 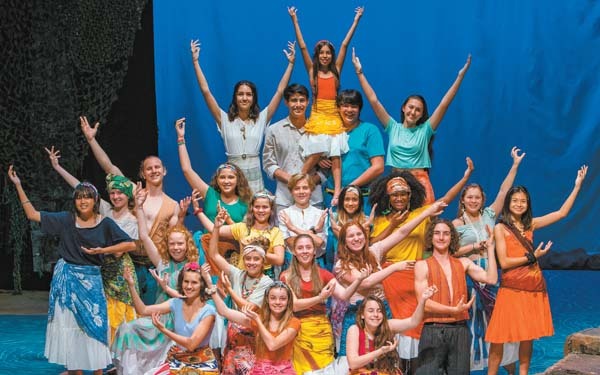 • Performances are at 7 p.m. Fridays and Saturdays and 3 p.m. Sundays, April 21 through 30 in the cafetorium at the King Kekaulike High School campus in Pukalani. Tickets are $8 for adults, $6 for students and are available at the door 30 minutes before showtime. Seabury Hall Performing Arts presents “Dance Showcase 2017,” directed by David Ward. The 28th annual showcase will feature all levels of the Seabury dance program in a recital of jazz, modern, ballet, world and contemporary dance. • Performances are at 7 p.m. Friday and Saturday, and 3 p.m. Sunday, April 21 through 23 in the ‘A’ali’ikuhonua Creative Arts Center. Tickets are $12 for adults, $10 for seniors, and $5 for students. To purchase tickets visit www.seaburyhall.org. Maui OnStage presents the Maui premiere of Aaron Sorkin’s “A Few Good Men,” directed by Rick Scheideman. When two Marines face trial for the death of a fellow Marine at Guantanamo Bay, a Navy lawyer more interested in softball games than the case expects a plea bargain and a cover up of what really happened. Prodded by a female member of his defense team, the lawyer makes a valiant effort to defend his clients by putting military mentality and the Marine code of honor on trial. 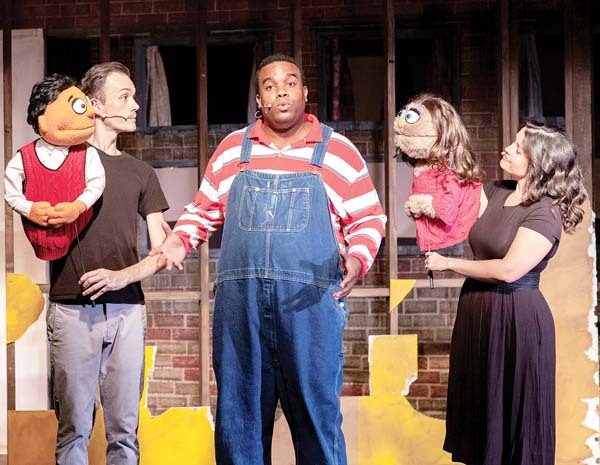 • Performances are at 7:30 p.m. Fridays and Saturdays, and 3 p.m. Sundays April 28 through May 14 at the Historic Iao Theater. Tickets range from $20 to $40. To purchase tickets for any Iao Theater event call 242-6969 or order online at www.mauionstage.com.